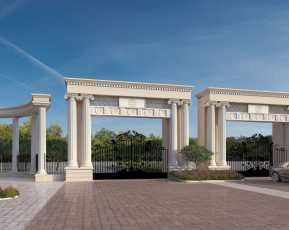 Home-lovers willing to buy a sophisticated home in Lucknow should go for Excella Kutumb. The sophisticated residential complex Excella Kutumb has been developed for the luxury-seekers and come with elegantly designed apartments. If you are looking for a good mix of luxury and comfort, you can get an apartment in Excella Kutumb complex. You can buy 2 and 3 BHK apartments in the Excella Kutumb residential Society. The location advantage of the Excella Kutumb is the key reason behind its popularity. The residential complex is centrally located in Lucknow, which enables the residents to get fast access to the important areas around the city. 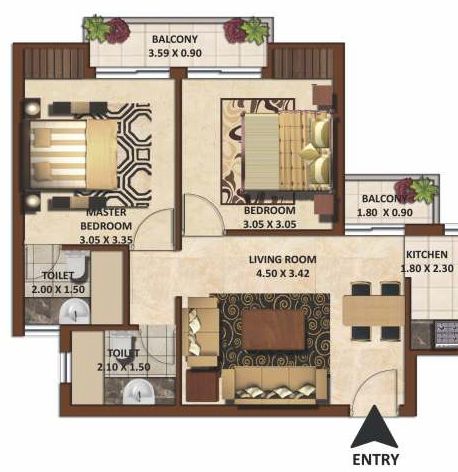 The prices of these apartments range between INR 27.25 lakhs to INR 32.80 lakhs. Investors from various parts of the country are interested in buying these apartments. You can get a quality home here and live up to your housing aspirations. The prices of these apartments are likely to escalate in the coming months. This is the right time to buy Property in Lucknow. You will enjoy a wide range of amenities in the apartments. Excella Kutumb homes come with elegantly designed interiors and sophisticated furnishings. The interiors are spacious and you will enjoy the well-circulated apartments. The wide balconies and large windows ensure optimum ventilation in the apartments. If you have a fascination for green living facilities, you will enjoy surely in Excella Kutumb residential complex. 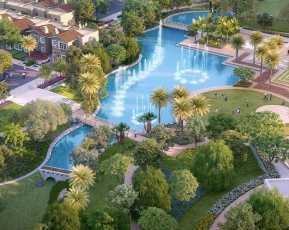 The estate comes with extensive landscaped gardens and green zones for the residences. Have a walk in the paths covered by nature, or sit in your balcony, enjoying the bliss of nature around you. For health and sports enthusiasts, the residential complexes bring a wide range of amenities. The transportation system in Lucknow is well-developed. The residents of Excella Kutumb can get across to the important areas in the city in quick time from their estates. 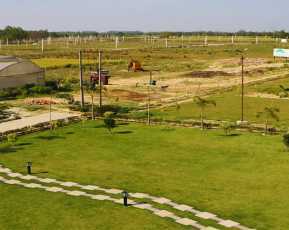 The important commercial zones in Lucknow are located close to the Excella Kutumb complex. You can seamlessly navigate through the city and reach these areas. Lucknow is one of the most demanded cities for the residents, thanks to its commercial prospects and well-developed social infrastructure. 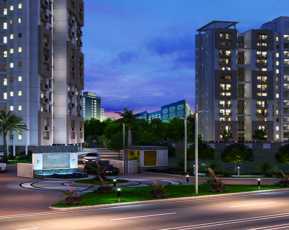 Excella Kutumb complex has been developed over a 6-acre land and houses 750 apartments. The residents remain well-protected through the upgraded security system in Excella Kutumb and CCTV scanner. They can enjoy the provision for cold and hot water in their apartments. Well, you will also enjoy uninterrupted power and water supply in your apartment 24/7. The residents can engage themselves with various indoor and outdoor games. If you are looking forward to buy an apartment for commercial purposes, you can enjoy huge rental opportunities in Excella Kutumb. The important schools around Excella Kutumb complex include G. D. Goenka School, Delhi Public School, Kunskapsskolan School, City Montessori School and much more. The prominent hospitals in the area include Mayo Medical Centre, Sahara Hospital, Divine Hospital, Metro Hospital, and Trauma Centre, Shekhar Hospital, and others. If you are willing to buy a Property in Sultanpur Road Lucknow you can get luxurious apartments in this residential complex. The residents of Excella Kutumb can enjoy the exposure to the commercial zones, while residing close to nature.